During a recent visit to Tincher Preparatory School, U.S. 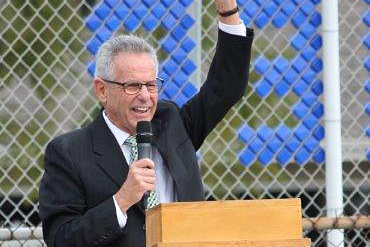 Congressman Alan Lowenthal talked to students about going to college, and he helped the school to celebrate its redesignation as a School to Watch by the National Forum to Accelerate Middle School Reform. The K-8 school earned the School to Watch honor for the third time last year in recognition of academic excellence in the middle grades. Tincher was among 15 schools statewide to retain their designation. These model schools host educators from California and beyond who are looking for practices that will help them to improve. 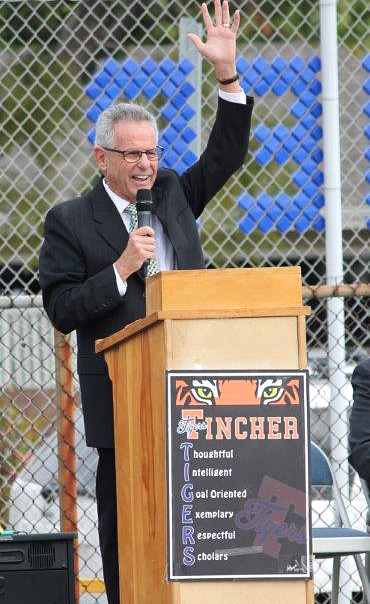 NATIONAL RECOGNITION – Congressman Alan Lowenthal addresses students at Tincher Academy.